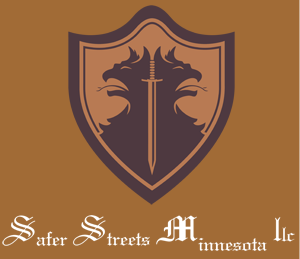 Safer Streets Minnesota provides various convenient locations as well as different class times to fit your schedule, with professional classes in a relaxing and comfortable setting. We create a unique classroom environment that will allow you to view the information presented objectively. With this, we hope to help you put down “defenses” you had in place surrounding alcohol and drugs. If you are looking for a reputable Driving with Care DUI education class in order to fulfill your probation requirements, Safer Streets Minnesota DUI Schools is here for you. Our state-of-the-art program has been nationally approved and recognized DWI/DUI cognitive-behavior education program that works effectively in changing the behavior of the clients who have a history of criminal conduct and substance abuse. This program mainly focuses on changing behaviors, attitudes and thinking patterns that often lead to driving under the influence of drugs or alcohol. There are many Correctional agencies that have implemented the Driving With Care program in Minnesota. This is essential to address the increasingly growing number of probationers that are being supervised for DWI related offenses. Included in the list are the agencies in Brown County, Anoka County, Carver County, Scott County, Hennepin County, Dakota County, Ramsey County, Washington County and. St. Louis County. Safer Streets Minnesota is dedicated to promoting a safer road throughout Minnesota. We are the certified provider of Driving With Care program that offers Level 1 and Level 2 DWI/DUI classes. Driving With Care is a remarkable programs, which means caring about others and caring about yourself. The programs are recognized nationally as education programs for DWI or DUI offenders or for underage offenders. They are established on the approach that you can make valuable changes in your actions by changing your mindset or the way you think. Through the program lessons, you will obtain skills and gain knowledge necessary to changing your thinking patterns to easily change your actions. This is done through assignments, discussions and class lessons. The program assignments also include worksheets and exercises to help the clients apply the material and the topics to their situation. At Safer Streets Minnesota DUI Schools, we offer a 12 hour 6 class Driving with Care level 1 and a 24 hour-12 class level 2 education program for those impaired driving offenders who have some indicators of past issues with alcohol and other drug use or misuse. Driving With Care education programs help offenders understand how they learn problem behaviors and how to develop skills and strategies required to change their thinking patterns and negative behaviors to be able to change their actions and avoid being in the same difficult situation due to the presence of alcohol or other drugs.